Purobio Vegan Felt Tip Eyeliner creates a beautiful cat's eyes look! 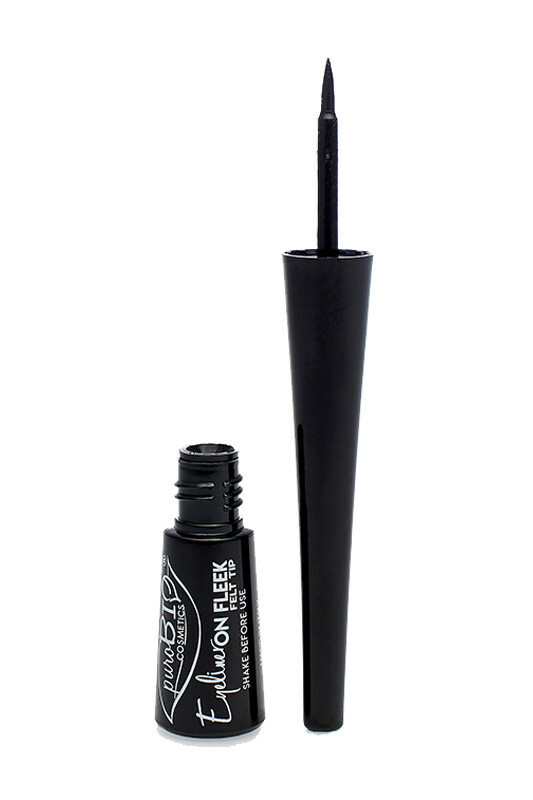 Very easy to apply, it is perfect for a thin eyelining or thicker for more glamour. Very pigmented and semi-matt black, your make-up is sublimated for an intense look. Its formula enriched in hydrolat of organic sage argan oil, silica and glycerin protects your eyelids. Long lasting, Purobio Organic Liquid Felt Tip Liner lasts all day! 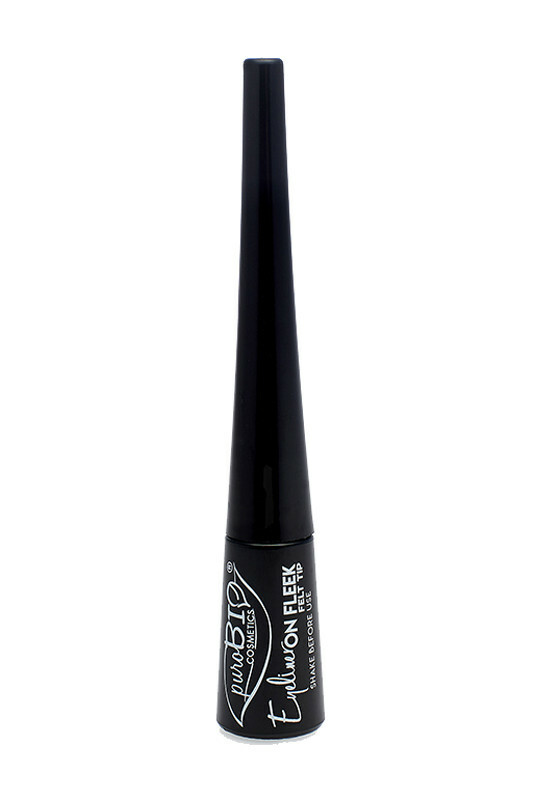 Apply Purobio Organic Eyeliner close to the lashline, drawing a thin or thicker line as you wish. A clean, nickel-free composition with PUROBIO Vegan Felt Tip Eyeliner!